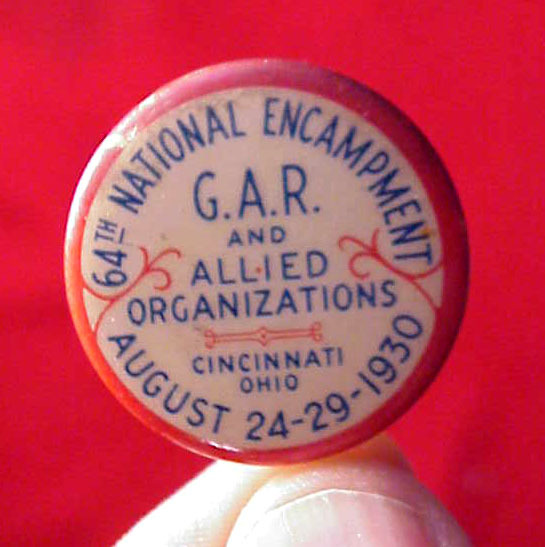 There were not many CW veterans left by 1930 reunion of GAR in Cincinnati. It was their 64 th Encampment. Nice pinback. 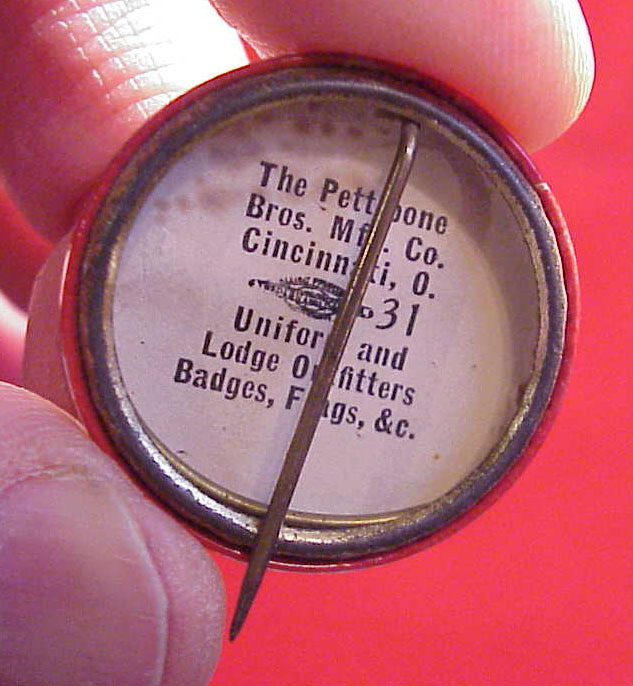 Maker Pettibone insert in rear. About 1 inch.